When you want to beat bulimia you come to understand that living happily ever after is more about being happy and less about beating up on yourself. Taking it easy is natural and normal and will uplift and inspire you much more so than disciplining, criticizing and comparing yourself to others. Start trusting the laws of the Universe and stop struggling and striving. Turn towards a life of thriving if you want to beat the bulimia that’s had a hold on your life. In order to teach taking it easy by example I will want to show you how I go easy on myself. So, I’ve been working very hard all week and today I realize I’m needing a break. Instead of working through and pushing to get to the next stage, I’m going to take it easy instead. When I take it easy, manage my energy levels to be sure my inner well is full up and I’m not mentally, emotionally or spiritually depleted I can continue to thrive. When one of these gets too consumed I can get that empty or sick feeling. Resistance starts to creep up. 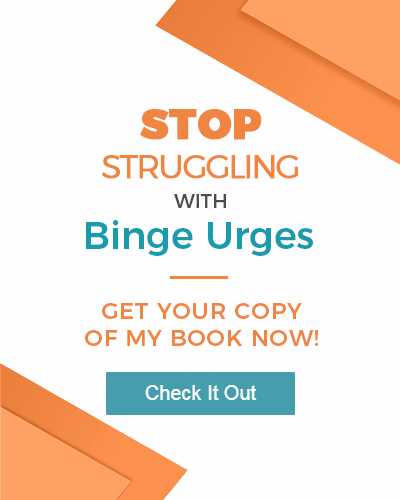 Thus, today I am going to keep this bulimia recovery blog post simple and just remind you to beat bulimia go easy on yourself. Enjoy this rampage of appreciation from Abraham about the vortex. I think of the vortex as my happiest and most joyous place – when and where it is that I thrive. May this video shift your vibration and get you to take it easy, too. previous post: How Do I Help a Friend With an Eating Disorder?